The abbey at Bath is one of the last major churches built in England before the Reformation. 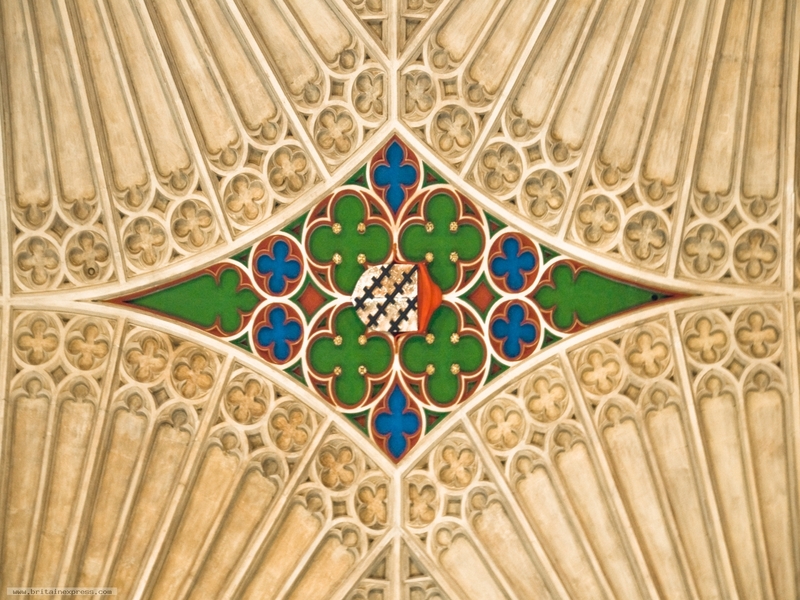 It is a superb late Gothic building, and one of the highlights is the extravagant ceiling vaulting, like this example. This photo was taken looking straight up over my head - photographers need a bit of flexibility!